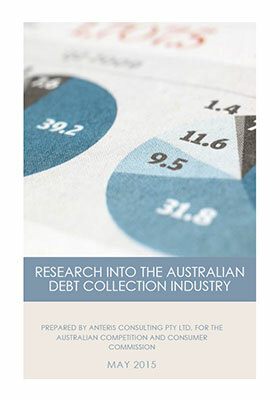 This report examines the debt collection industry in Australia on behalf of the ACCC and its Consumer Consultative Committee. It aims to provide greater understanding of the industry and to identify structural issues or operational practices that may lead to problematic behaviours within the sector. This information will enable the ACCC to better address industry issues and respond to emerging trends in an effective way.